Im sad to write this post but I feel a responsibility to raise awareness about what I now understand about my relationship to essential oils as I have been an advocate for their use in holistic healing work. 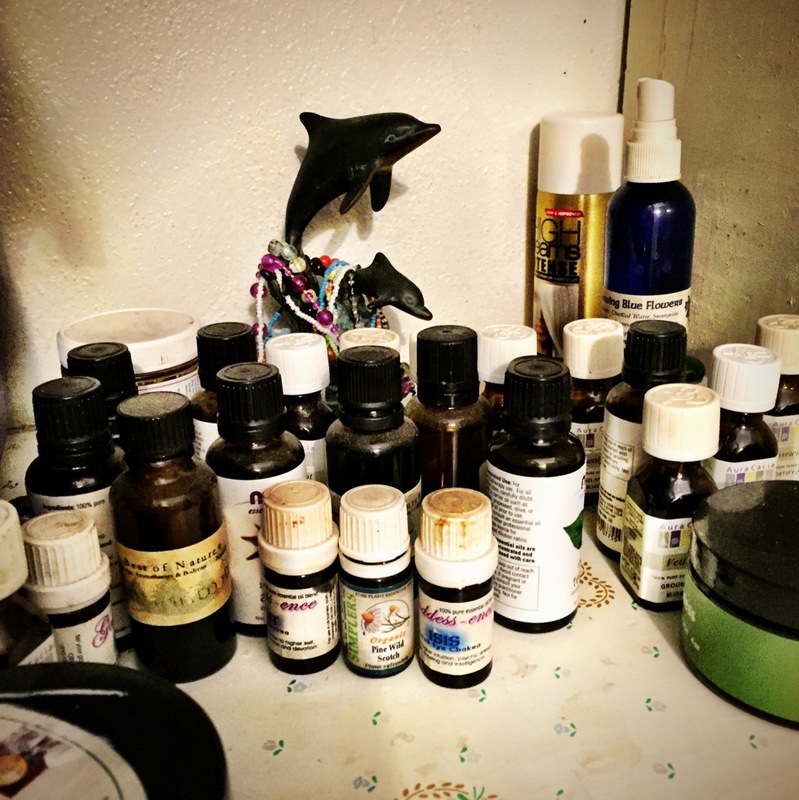 As a massage therapist I was taught to think of essential oils as a vital part of my healing practice to help with shifting stagnant energy within a person or to amplify the healing aura of my work space. 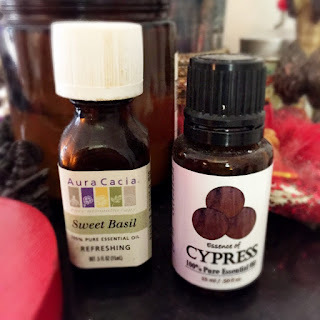 Out of concern for people with skin sensitivity I have tended not to used them as much in my actual body work but have often sought these oils out for my personal meditation practice as a way to shift my mood or energy when I needed it. I would also pour them lavishly in my baths and buy aromatic soaps and creams. Over the last three years I have begun a slow study of herbalism and have come to really appreciate and respect the power of plants. Recently it has come to my attention that putting essential oils on your body is not the best thing for your system. It takes alot of plant material to create one small bottle of essential oil. This has environmental consequences in terms of over harvesting and it means that the oil that is created is a very potent substance. 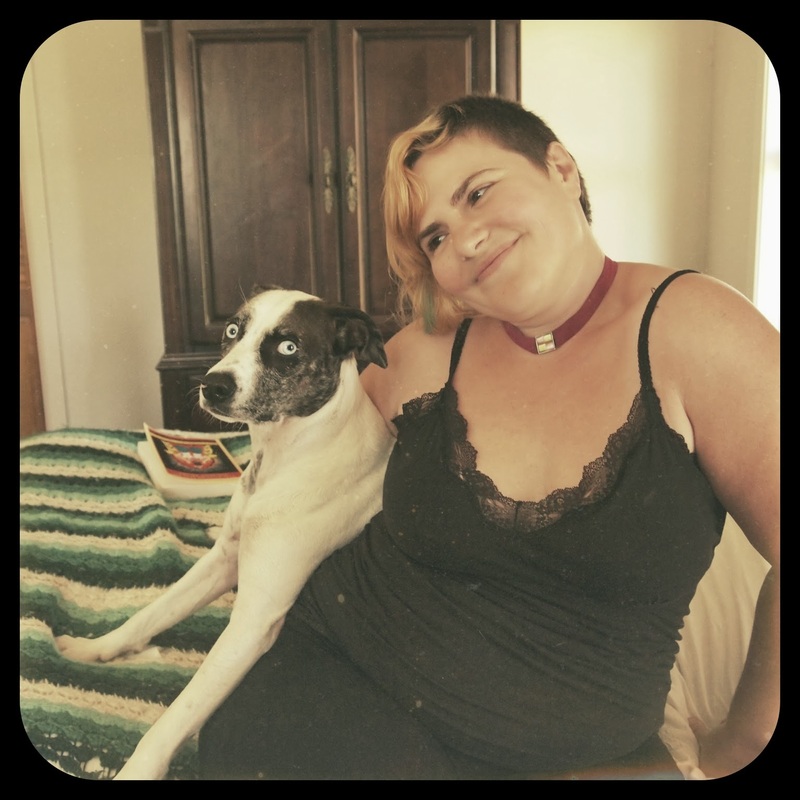 I was listening to a talk by my favorite herbal guru, Susun Weed, where she told of how some massage therapists she knew began having trouble with their immune systems. They traced this back to a use of essential oils in their bodywork practices. What happens is that essential oils are anti-bacterial and anti-fungal and the body responds to them like they are antibiotics. The daily exposure to these substances was wearing out these massage therapists immune systems. Also some oils like lavender and tea tree can inspire an excess of estrogen which can have further destructive effects on people for whom that is a health concern. I keep these bottles near my altar. I use basil as a prosperity blessing. The cypress is made from local trees. This doesn't mean that essential oils have no worth, as they are still valuable for ritual and meditation uses, but I see it as time to phase scented bath and body products out of my life. There are so many herbal allies that we can reach out to for skin care (like witch hazel) and other healing needs. 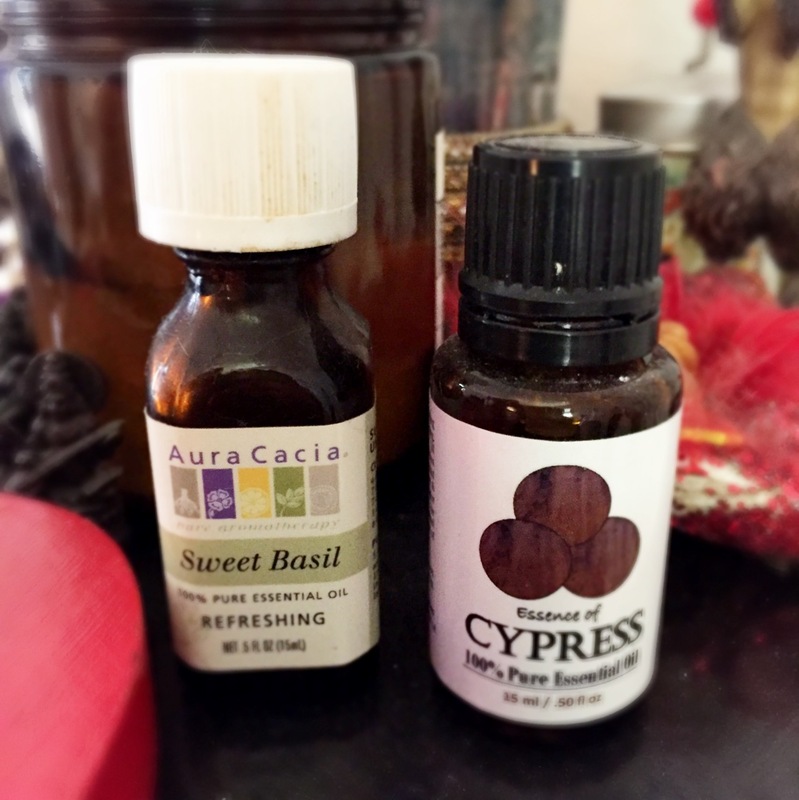 You can read more wisdom about the use or non-use of essential oils here, here and here.